In this video, I continue (part one) my exclusive early look at the Atari Flashback 4 from AtGames, which will be released in the US in time for the holidays. 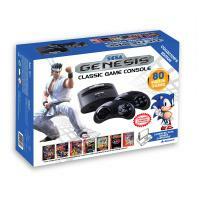 Look for part 2 of Armchair Arcade's other exclusive video review, coming soon, on several new Sega-related products from AtGames, which will also be released in time for the US holiday season. EDIT: I mistakenly said 80 games with the Flashback 4. It's 75 games. The YouTube video has been updated with an annotation. Download the video here (no annotation). In this video, I take an exclusive early look at the Atari Flashback 4 from AtGames, which will be released in the US in time for the holidays. This is part 1. Part 2, which will be released a week or so after, will feature more live footage to get an even better sense of the quality of the system and its capabilities. Look for part 1 of 2 of Armchair Arcade's next exclusive video review, coming soon, on several new Sega-related products from AtGames, which will also be released in time for the US holiday season. NOTE: This is now the audio-fixed version of the video review, with much quieter in-game audio. Today I'll be taking a look at Atari's new Flashback 3, which, despite the name, is actually the fourth major Flashback system released. 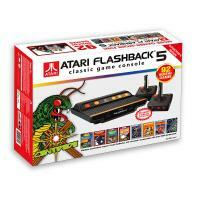 I reviewed the first Atari Flashback way back in 2004, when it was first released. Unfortunately, Legacy Engineering Group (LEG) was apparently only given 10 weeks to create the system from scratch and therefore had no choice but to rely on a NES-On-A-Chip (NOAC) to power the product. 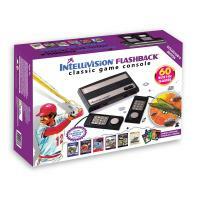 Since the goal of the Flashback was to deliver both a plug-and-play Atari 2600 and 7800 experience, this was definitely too tall of an order for what amounted to a Nintendo Entertainment System clone, particularly given the limited time to optimize the game simulations. While the first Flashback clearly disappointed anyone remotely familiar with any of the 20 first party 2600 and 7800 games it clumsily simulated, the upside was that it sold enough for Atari to order production of a Flashback 2. This time LEG did have the time to do it right, and, while they dropped all efforts to replicate the 7800 experience, they ended up developing what amounted to an "Atari 2600-on-a-chip," whose high accuracy more than made up for the omission. Released in 2005, the Flashback 2 came with a mix of over 40 original, prototype, hacked, and homebrew Atari 2600 games. While the first Flashback was styled like a miniature 7800, the Flashback 2 was styled like a miniature Atari 2600 VCS, complete with simulated woodgrain. As a bonus, the two included joysticks were pin compatible with the originals, meaning they could be used on other systems that worked with Atari-style joysticks. 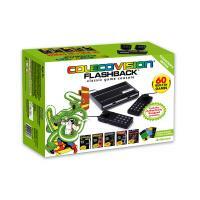 This also meant that you could use original paddle controllers with the Flashback 2 to play the hidden paddle games. This was in direct contrast to the first Flashback, which merely converted its paddle games to make use of the joystick, which again, was not the way you wanted to experience those games. As a final bonus for those with the requisite skillset, the Flashback 2 could be hacked to add a cartridge port, which outside of a few relatively minor compatibility quirks, made it an ideal modern revision of the original Atari 2600 hardware, particularly since it had default composite video output rather than RF.